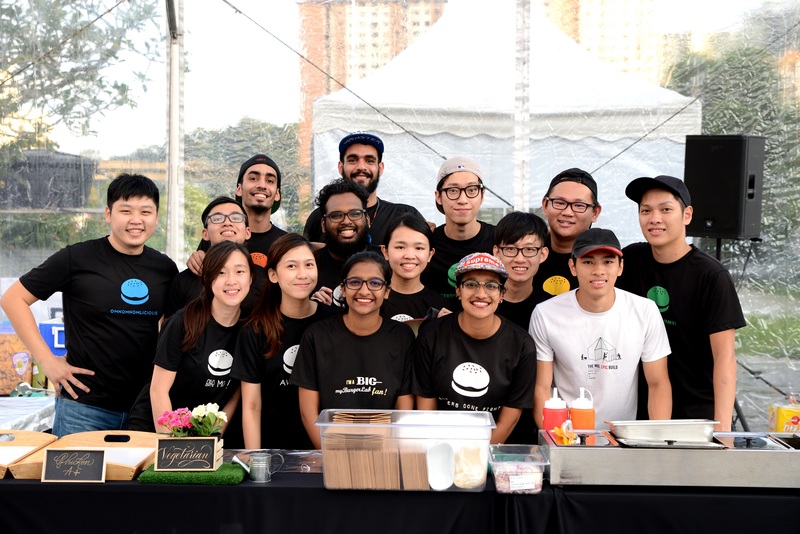 It’s been a busy year on for the myBurgerLab team and we were fortunate to end it with another event! This time, catering dinner for the BMW Motorrad members. 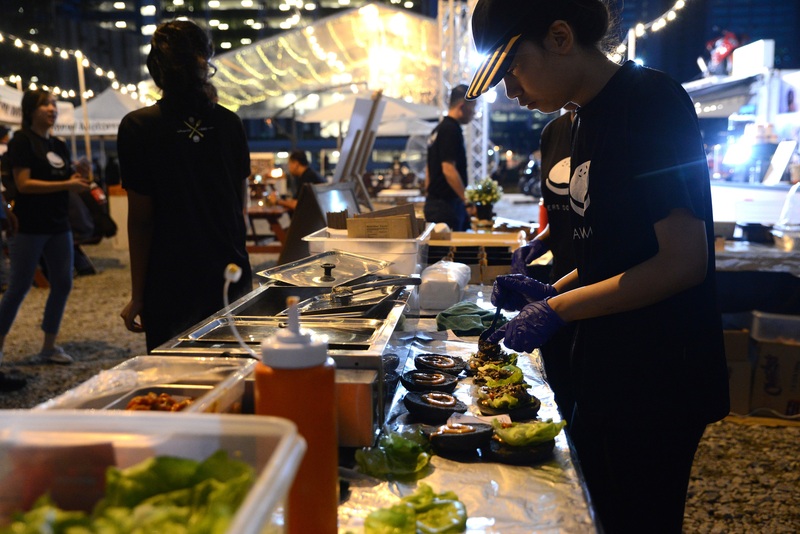 The APW carpark was transformed with fairy lights, a stage for live music and of course freshly cooked food from us! 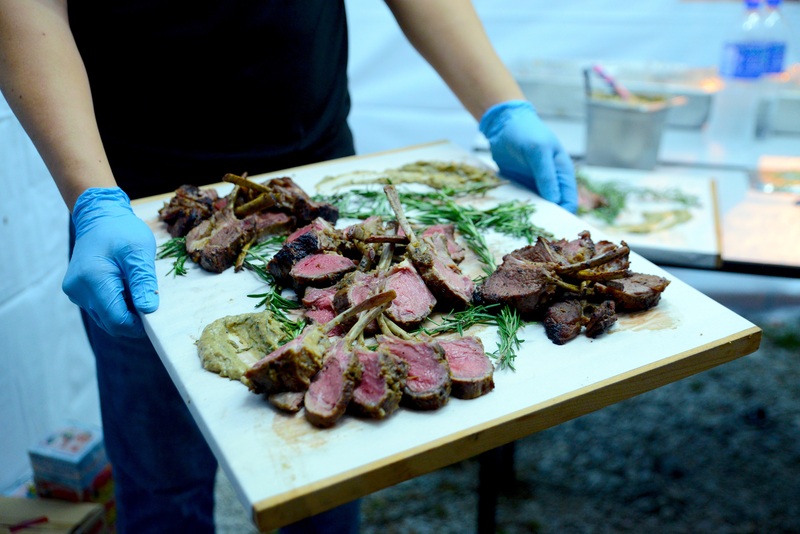 On the menu – burgers of course, but the Geeky Caterers debuted it’s latest offering, Sous Vide Lamb. Marinated with French Mustard and Rosemary, it was grilled to create a nice char and served with a Chimichuri sauce and pickled Onions. We heard some comments saying that it was “damn good lah” so you may be seeing more of this soon! 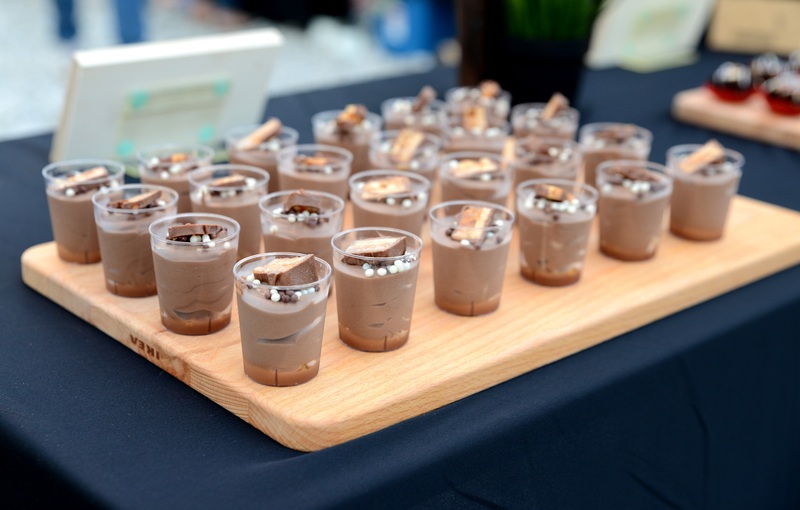 Despite being an event for bikers, we had to have desserts as well and Project C supported with its trifecta of Panna Cotta, Brownies and Snicker cups (pictured below). Chocolate mousse, combined with a layer or caramel and topped with chocolate pearls and wafers! Definitely for chocolate lovers, or those with a sweet tooth. 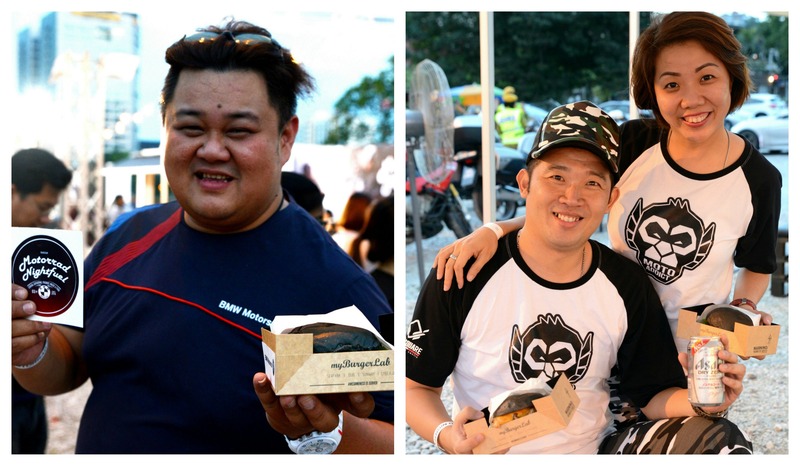 Some of the happy customers with their food and drinks. We had fun serving the BMW Motorad members, and will be ending our year on a high. 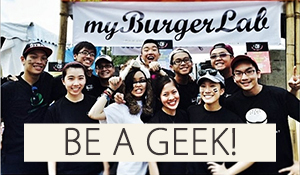 If you’d like to know more about the Geeky Caterers – check them out at this link or email us at [email protected]! Have a blessed Christmas season ahead guys!